Bravo! Poetry Friday Roundup. I hosted the weekly Poetry Friday roundup, so in addition to my review of Bravo! 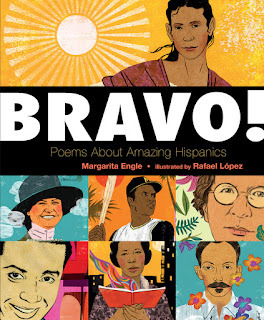 Poems about Amazing Hispanics you can also find links to all the other amazing poetry shares for the week. #DiverseKidLit: books in a series. Share a link or find the latest diverse book recommendations here. The Great Greene Heist (2014) by Varian Johnson. Tag line: saving the school, one con at a time. 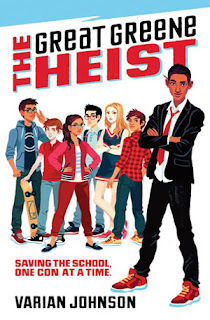 In this Oceans 11 meets eighth grade mashup, con-man Jackson Greene is under suspicion at his school after his previous con made him a bit notorious (which makes for a bit of a confusing beginning, because I kept feeling like I had accidentally started on book two of the series, but this is book one). I appreciated the fast-moving plotting and diverse cast of characters but wasn't quite able to suspend disbelief enough to enjoy this one as much as others might. 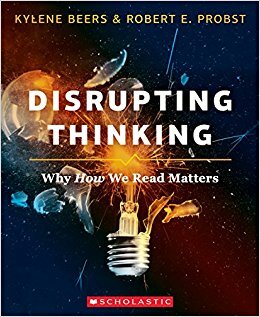 Disrupting Thinking: why how we read matters (2017) by Kylene Beers and Robert Probst. I am reading this book as part of the Book Love Summer Reading Book Club, and even though I haven't commented on any of the discussion posts, I did finish up the book this past week. Disrupting Thinking does a great job of laying out what reading and talking about books should really look like and how to foster a deeper level of engagement between an individual kid and the books they read. I will definitely be digesting this for awhile and trying to figure out how best to incorporate some of the their suggested questions and frameworks. 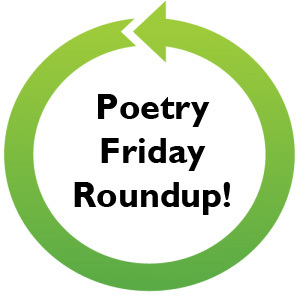 Welcome to this week's Poetry Friday roundup! Quick intro: My name is Katie, and I am a language arts and social studies teacher in Wisconsin. I teach seventh grade language arts and previous taught both third and fourth grades. I have been holding weekly Poetry Friday time with my students for several years now, and it is one of my favorite things about teaching. There are so many things to love about this book! 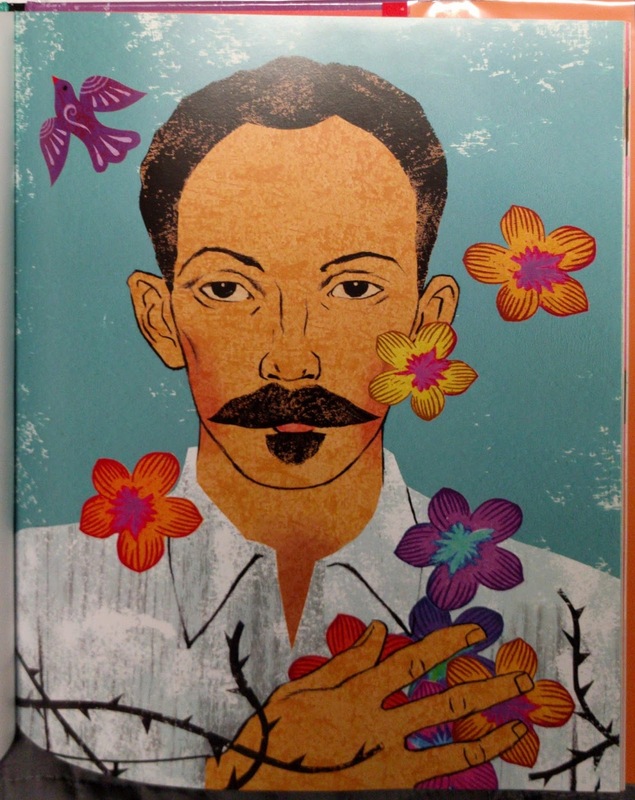 To begin, it's a great way to introduce readers to a wide variety of Hispanic people, including both well-known and lesser-known names from the past 300 years. The poems themselves are powerful and insightful, as you would expect from Margarita Engle. Finally, this would be an excellent mentor text for having students research and write their own biographical (or autobiographical) poems. I say that each day is a poem. Some hours are green and peaceful. Others are red, like festivals or storms. Please leave your link and a description in the comments, and I will continue to update the post throughout the day. (If you have any trouble, drop me a line at katie at thelogonauts.com.) I look forward to reading all your amazing poems and posts; happy Poetry Friday! Laura Purdie Salas shares a new/old poem, How to Make a Dog Live Forever, in honor of her beagle, Jack. Linda Mitchell shares an original poem about mid-summer stress, along with some new picture books in her TBR stack. Linda at Teacher Dance shares an original poem (and photographs) inspired by the end of her summer beach vacation with family. Kiesha at Whispers from the Ridge shares an original poem inspired by the life of a dear friend, and she issues an invitation to all to use poetry as a way to soothe overwhelming emotions. Author Kathryn Apel shares an original sollage and a collection of amazing family photographs. Great fodder for more poems! Jan at the Book Seed Studio is hosting a Q&A with author / illustrator Lisa Desimini about her newest book, The Fleatastics. You can also win a copy (giveaway ends Mon. July 24th). Linda Mitchell highlights an upcoming book by Pakistani-American poem Adeeba Shahid Talukder along with a link to one of her poems. Laura Shovan shares about a new book, Into the Deep, Deep Brave, by three-year old poet Arthur. Laura's post also provides some background about Arthur's hyperlexia and the story behind his book's creation. Brenda shares an original poem by Tabatha Yeatts that she received as part of the summer postcard swap. Part Narnia, part politics, pure pleasure. New Book Alert: Lights, Camera, Middle School! Babymouse is back - and ready for middle school ... or is she? The Shadow Cipher (York, book 1) (2017) by Laura Ruby. Steampunk meets magical realism in this new series set in a technologically advanced-ish modern day New York City. 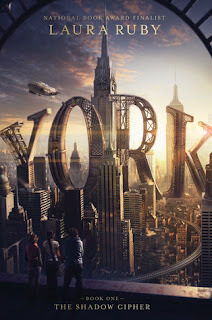 In the early 1800s the Morningstarr twins transformed the city through their buildings and inventions before mysteriously disappearing and leaving behind clues to the "Old York Cipher." 150 years later, only scattered elements of the cipher have been deciphered until Tess, Theo, and neighbor Jaime receive a new clue, purportedly addressed to their cipher-addicted grandfather. Like The Gauntlet (reviewed here), this new series is an action-packed adventure featuring a trio of problem-solving teens. But also like The Gauntlet, I didn't feel that the world-building behind the clues held up well under scrutiny. (It's a bit like watching an exciting action movie where, in the moment, everything is thrilling and exciting, and then as you walk out of the theater and start thinking critically for a moment, you are left with a lot of questions.) Perhaps the rest of the series will help tighten up some of those issues. Finally, I put this book in my "middle school" category, because even though it was filed under Teen in my public library, there was nothing particularly YA about the book (other than maybe it's length, but it shares that with similar series like The Mysterious Benedict Society, which I would also put on the older end of middle grade). It's an interesting world and an engaging read, but I hope the later books have a little more logic to them. I used some of my plane time on my recent trip to Scotland and Ireland to step outside my normal kidlit reading and brought along a couple of adult books too. 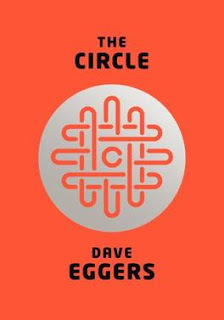 The Circle has also just been adapted as a movie, which I find a bit odd, and I do have to steal this line from David Sims's Atlantic review: "It’s all like an episode of Black Mirror, if Black Mirror made no effort whatsoever to be subtle." 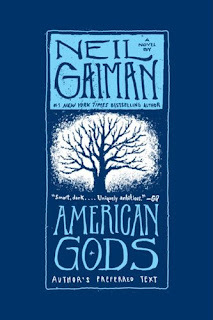 American Gods (2001) by Neil Gaiman. I have read some of Gaiman's children's books, but this was the first of his novels for adults. American Gods is a grown-up version of Rick Riordan's series (and predates them), sharing the same central premise: the gods of the past are never truly gone, as long as someone, somewhere still remembers them. But what happens to those gods as their popularity and worship fade? This is a fascinating and engaging story with a wild range of characters, personalities, and road-side attractions (Wisconsin shout-outs!). Not sure I'd want to watch the new Starz TV series based on the book, but the book itself I highly recommend. Yesterday marked Babymouse's independence from elementary school as the first book in her new series debuted! 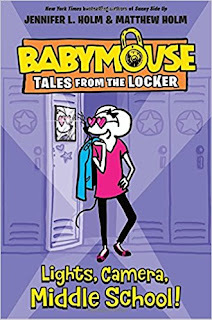 The Tales from the Locker series follows Babymouse up to middle school, replacing the full graphic novel format with a mixture of both text and graphic pages. Book one, Lights, Camera, Middle School!, opens with Babymouse stressing about the stereotypical middle school worries: right clothes, right friends, right ... whiskers? When faced with a decision about what after school activity to join, Babymouse realizes this is an opportunity for her to stand out and get noticed, so she joins the film club. As fans of Babymouse might suspect, not everything goes according to plan ... Typical. My third graders were HUGE fans of the original Babymouse series, and these were among the most-checked out books in my classroom library. Babymouse ranked #2 in their all-time favorites list, and you can read a review of Babymouse: Beach Babe by one of my third graders here. I am excited to share this new series with them and think that they will highly enjoy Babymouse's new adventures. I will say, as a teacher of actual middle schoolers, that The Tales from the Locker series is pretty firmly in middle grade territory and might not grab the attention of actual middle schoolers who are starting to gravitate into more YA-heavy material. But I think Babymouse will find plenty of new fans in the fourth, fifth, and sixth grade range. Definitely a must-have book for any teachers or librarians in that age range! The Only Road (2016) by Alexandra Diaz, p. 300 [a Pura Belpre Honor Book]. 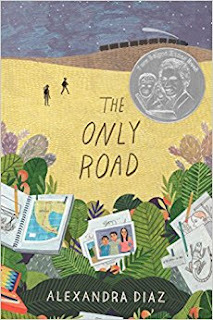 12-year old Jaime and his 15-year old cousin, Angela, are forced to flee north after the gang in their Guatemalan village kills their cousin/brother, Miguel. A scary but middle grade-appropriate version of the trip to illegally immigrate to the US. Definitely one I will be adding to my Latin American immigration book list. When the Moon was Ours (2016) by Anna-Marie McLemore, p. 290 [a Stonewall Honor Book]. 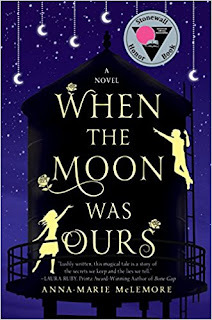 This is a lyrical magical realism story about a girl, Miel, who appeared from inside a water tower (and grows roses from her wrists), and her friend, Sam (a transgender boy born Samira). I had ordered this book from the library for an LGBTQIA display, and one of my students insisted it was a must-read. And I agree. This is much more than a coming of age story. It is lovely, mysterious, and truly magical. 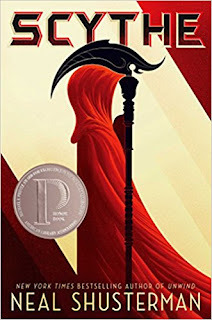 Scythe (2016) by Neal Shusterman [a Printz Honor Book]. The school library's copy of Scythe bounced around from student-to-student, so I finally had to order it from the public library to get my turn! In this near-future dystopian story, an artificial super intelligence has led humanity to a place of peace and prosperity where death by natural causes has been eliminated. Thus the position of Scythe has been born - Scythes are responsible for "gleaning" specific quotas of humanity, and the story kicks into gear quickly when high schoolers Citra and Rowan suddenly find themselves apprenticed to a Scythe. This is a fascinating thought-experiment as well as an engaging book, and I know my students will be delighted to hear that there is already a sequel in the works (Thuderhead, Feb 2018). PS Anyone else heading over to Nerd Camp MI next week? Would love to meet up! We hope this community serves as a resource for parents, teachers, librarians, publishers, and authors! Our next linkup will be Saturday, August 5th. We will only be hosting one linkup per month (on the first Saturday) for the summer months. Our theme for August (5th) will be socioeconomic diversity. What are your favorite books for honoring characters and families who come from somewhere other than the 1% or even the upper/middle classes? We look forward to seeing your choices! 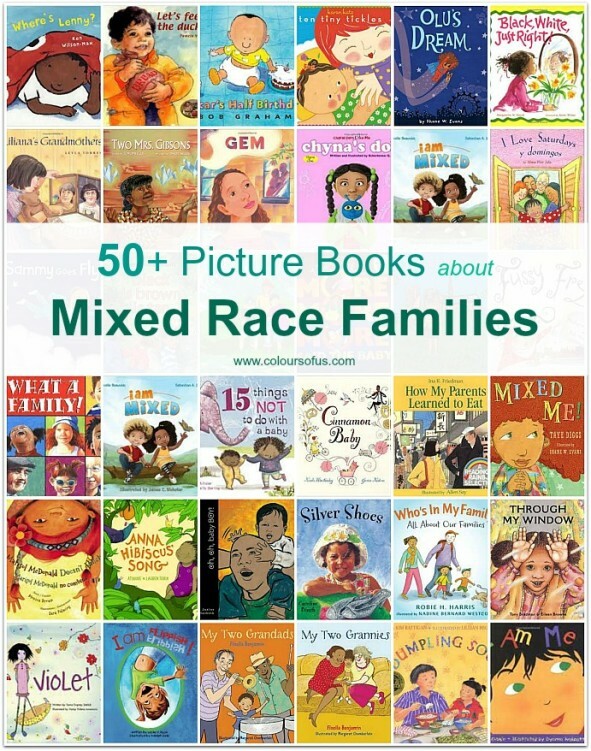 The most-clicked post from the previous #diversekidlit was this incredible resource from Colours to Us: 50 Picture Books about Mixed-Race Families. Wow!